Lavin+Stacey designs interiors for clients as big as Nordstrom, and as small as single homeowners. Many of our clients are small retailers. We are responsive to the needs and desires of our client, and bring a broad expertise to our projects. 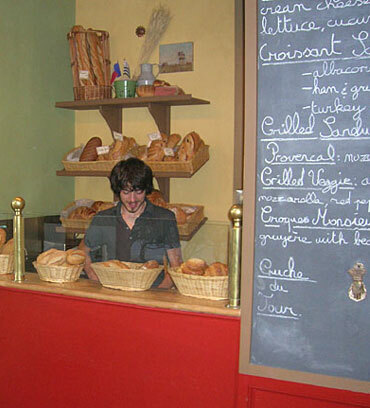 Lavin+Stacey designed the remodel of this traditional, organic French Bakery. We remodeled the layout, added color, French touches, better display, good music, custom tabletop collages -- and brought some warmth and French charm to this corner of Seattle's Belltown.